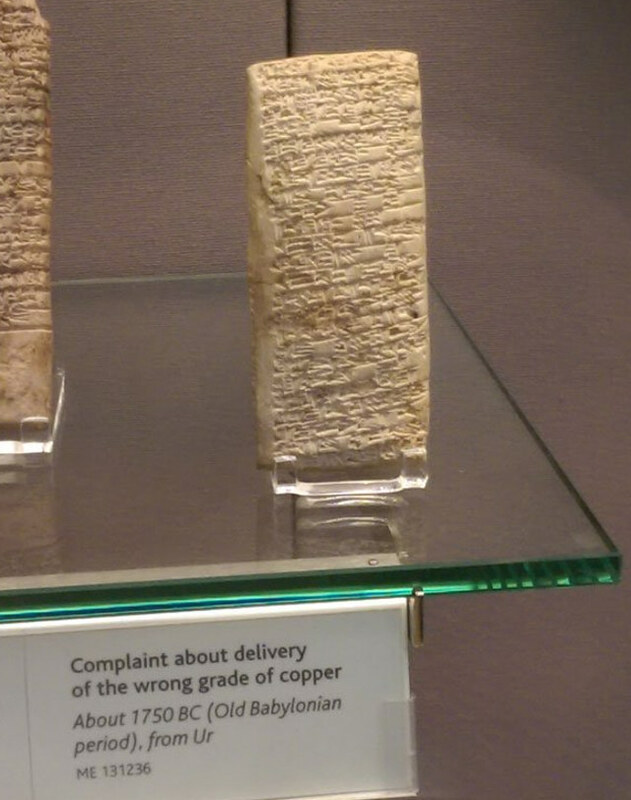 Ancient 3,700-year old Customer Service Complaint inscribed on a Babylonian tablet! Months ago, we had talked about how sports and wrestling matches were fixed even in the ancient world. And, now a specimen from the British Museum (in London) proves that another historical scenario mirrors our modern world – the scenario of bad business practice. A Babylonian tablet dating from 1750 BC has inscriptions that detail a customer complaint from one Nanni to Ea-nasir, regarding two shipments of copper ore. This incredible specimen was originally discovered at the site of Ur – which was one of the Sumerian city-states (presently in southern Iraq) that had already lost its power during 18th century BC, while under Babylonian rule. The artifact/Customer Service Complaint was discussed in Reddit, with commenter labarna providing a full translation of the complaint. He reportedly made use of the book Letters from Mesopotamia by Assyriologist A. Leo Oppenheim. So, yes Nanni was pretty miffed!